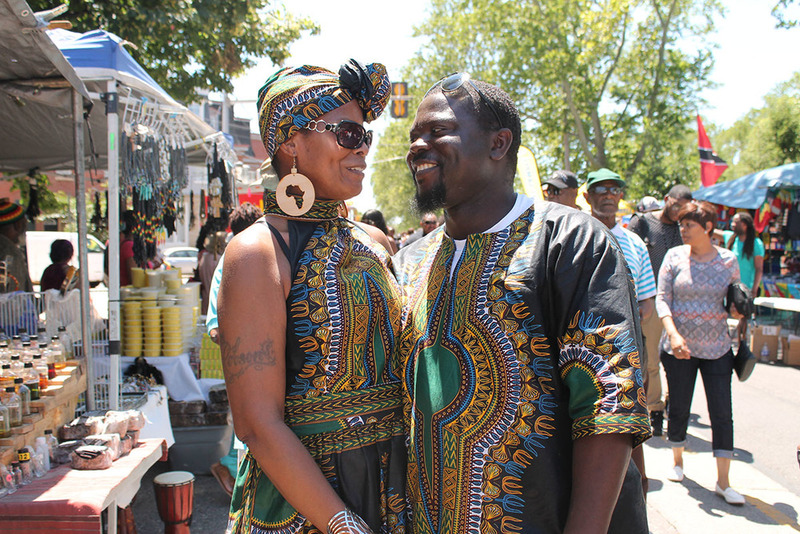 Sunday marked the renowned 41st Odunde Festival in Philadelphia, Pa. So it’s especially fitting that the 51st Ooni of Ife Oba Adeyeye Enitan Ogunwusi was among the attendees as the occasion presented an august opportunity for the traditional ruler of Nigeria’s Ile-Ife—considered the birthplace of all Yoruba people—to engage more than 3,000 Ife indigenes living in the U.S. on development of the ancient Yoruba town. Shahadah at the Odunde Festival on South Street in Philadelphia, Pa. on unday June 12, 2016. Photography by Sofiya Ballin. Maryam & Friday Allu match in more ways than one. Friday, who is Nigerian says, “This is my culture, this is my identity. I’m not going to differentiate. We [black people] have differences but we are here for one purpose: African identity.” Photography by Sofiya Ballin. Na- Marley Badger, 27, is half-Ghanaian and on the hunt for frankincense and indigofabrics. But she’s killing the game while doing it. Photography by Sofiya Ballin. 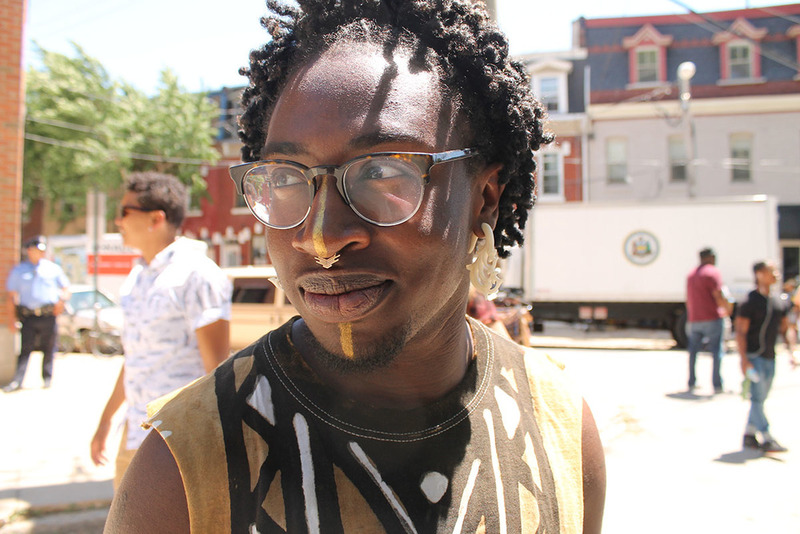 “There’s so much love, good music and so many black people.” says Kavindu Ade, 25, at the Odunde Festival on South Street in Philadelphia, Pa. on Sunday June 12, 2016. Photography by Sofiya Ballin. Rakia Reynolds, owner of Skai Blue Media, dons beautiful pastels and a contagious laugh at the Odunde Festival on South Street in Philadelphia, Pa. on Sunday June 12, 2016. Photography by Sofiya Ballin. Traditional face paint and an unexpected kiss at the Odunde Festival on South Street in Philadelphia, Pa. on Sunday June 12, 2016. Photography by Sofiya Ballin. 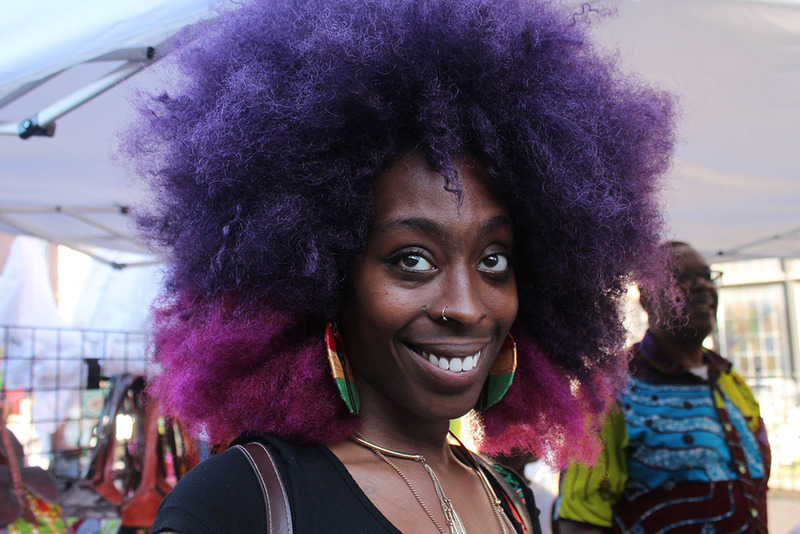 “Odunde is a wonderful way to see beautiful black people,’ says Danielle Whiteside, 33, at the Odunde Festival on South Street in Philadelphia, Pa. on Sunday June 12, 2016. Photography by Sofiya Ballin. 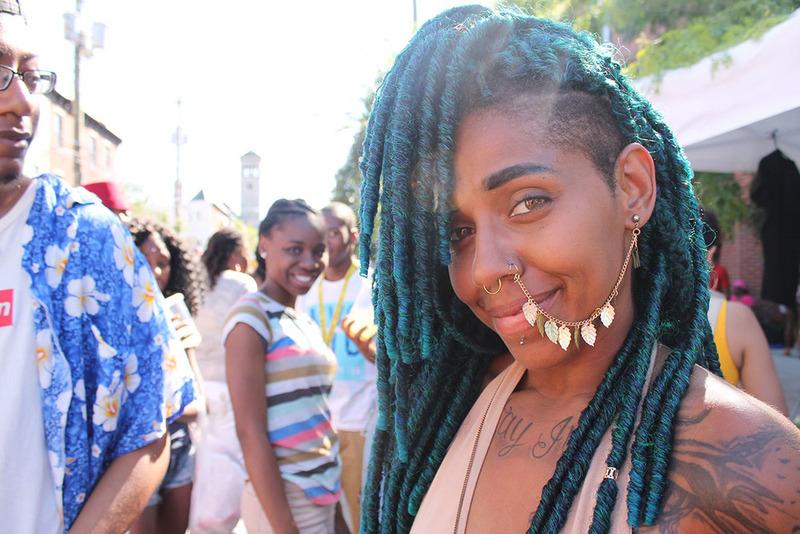 esse Piggott, 23, killing the locs pompadour game at the Odunde Festival on South Street in Philadelphia, Pa. on Sunday June 12, 2016. Photography by Sofiya Ballin. Jayla and Khai, 5, told their mom they wanted to be African princesses. They succeeded. Photography by Sofiya Ballin.